06 Dec 2018 --- Ingredion has entered into a relationship with Matsutani Chemical Industry Co., Ltd., Japan’s leading producer of specialty ingredients. The company will manufacture ASTRAEA Allulose in Mexico and market it across the Americas. 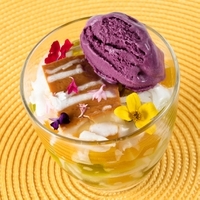 The on-trend ingredient is 70 percent as sweet as sugar and helps manufacturers reduce sucrose in their recipes and develop reduced-calorie food and beverages to meet growing consumer demand. Allulose, which is positioned as a low-calorie sugar found in wheat and fruits such as figs and raisins, has 95 percent fewer calories than sucrose. Despite its clear potential in sugar reduced products, it is only just starting to debut in new US product launches. Click to EnlargeAvailable in 2019, ASTRAEA Allulose will enable food and beverage manufacturers throughout the Americas to reduce calories from sucrose and other caloric sweeteners in a wide range of products, including beverages, dairy, bakery and confectionery items. Available in 2019, ASTRAEA Allulose will enable food and beverage manufacturers throughout the Americas to reduce calories from sucrose and other caloric sweeteners in a wide range of products, including beverages, dairy, bakery and confectionery items. “Reducing sucrose is an emerging global trend and can be a challenge for manufacturers, who are looking to match the sweet taste of sugar while achieving the same functional benefits in their products,” says Tony DeLio, Senior Vice President of Corporate Strategy and Chief Innovation Officer at Ingredion. “By combining our manufacturing network and global footprint alongside Matsutani’s pioneering work in rare sugars, we will bring exciting opportunities grounded in innovation to meet the needs of the evolving food industry ahead of sugar labeling changes,” he adds. “Ingredion offers a broad portfolio of sugar reduction ingredient solutions including stevia sweeteners, soluble fiber, Non-GMO polyols and now allulose,” Afrouz Naeini, Sr. Marketing Manager at Ingredion, tells FoodIngredientsFirst. “Allulose helps manufacturers reduce sucrose in their recipes and develop reduced-calorie food and beverages to meet growing consumer demand. This innovative, almost calorie-free ingredient solution has the same sweet taste profile and all the formulation functionality of sucrose, it also has a sweetness synergy further enabling manufacturers to replace sucrose and trim calories without compromising appeal in beverage, dairy, bakery and confectionery products,” she adds. The news of the partnership comes as Rabobank identifies allulose as one of the key sweeteners to watch going forward, as stalwart sweeteners come under pressure from newer options such as sucralose and stevia. New data shared in a Rabobank report show that over the period 2009 to 2019, newer sweeteners volume grew at a rate of 12 percent a year, while traditional ones were almost flat at 0.6 percent. “Allulose ticks several boxes when it comes to the traits that replacements should have, such as regulatory approval, costs and performance. It’s on the market in a few countries, but there are still some approvals pending in Europe, so it will take some time to reach here,” notes Ruud Schers, Analyst at RaboResearch Food & Agribusiness, Sugar at Rabobank. According to Innova Market Insights data, allulose as an ingredient is still very niche. The number of new food & beverage launches with the sweetener increased by 267 percent in 2017 compared with 2016, but it is important to stress that this is from a very small base. More interesting is the fact that cereals and sugar and sweeteners are the leading market categories where allulose is featured as an ingredient. During the last four years, cereals and sugar and sweeteners are the top market categories for launches with allulose, both accounting for 36 percent of new products. 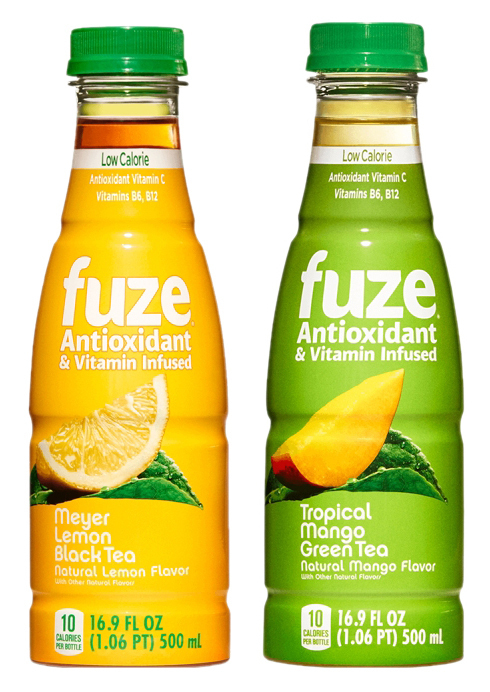 Click to EnlargeInnova Market Insights has tracked Fuze Meyer Lemon Black Tea and Fuze Tropical Mango Green Tea in the US, which feature a proprietary sweetener blend that consists of sugar, allulose and stevia leaf extract.One major recent launch suggests that the big boys are taking note of the sweetener, however. Innova Market Insights has tracked Fuze Meyer Lemon Black Tea and Fuze Tropical Mango Green Tea in the US, which feature a proprietary sweetener blend that consists of sugar, allulose and stevia leaf extract. Naeini notes that the Matsutani partnership comes with a backdrop whereby consumer attitudes change toward sugar, with 84 percent of consumers saying that they have reduced their sugar intakes over the past 12 months. They want to decrease their intake of sugar and calories in light of growing health and nutrition concerns, she notes. “Consumers are becoming more aware of the sugar content in their food and beverages through nutritional labeling on packaging. New product launches with ‘low/reduced sugar’ claims have been growing globally over the past few years, as manufacturers respond to consumer demands, sugar taxes and regulatory changes such as the upcoming ‘added sugar’ labeling in the US. 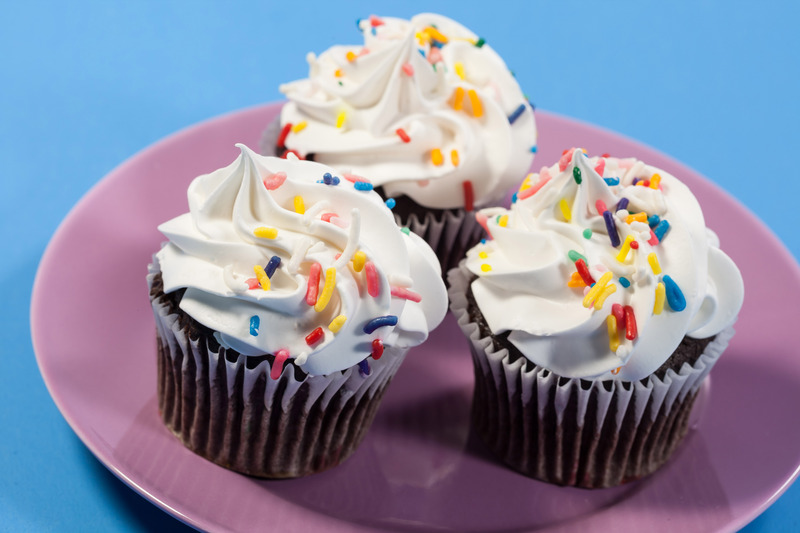 Removing sugar can be a very complex challenge for food and beverage manufacturers and Ingredion is aligned with this growing trend and focused on supplying ingredient solutions to support the wide variety of formulation needs,” she adds. The Ingredion move is also claimed to support the company’s goal to grow its specialties business to US$2 billion in annual sales by 2022. In a detailed interview with FoodIngredientsFirst last summer, Ingredion CEO Jim Zallie said he was targeting strong growth for his company in specialty ingredients, which will be partly achieved through further acquisitions. The evolution at Ingredion is profound, as it moves towards offering a highly comprehensive portfolio of specialty ingredients. The US-headquartered supplier was formed back in 2010 when the two major players of Corn Products International and National Starch merged. Since then it has become a significant ingredient player that functions as one of the major consolidators in the industry, with acquisitions including the purchase of starch supplier Penford in 2014 and Thailand’s Sun Flour in 2016. Ingredion used the IFT Food Expo 2018 in Chicago to highlight how concentrates and essences producer Kerr Concentrates (acquired in 2015) and hydrocolloids supplier TIC Gums (acquired at the end of 2016), added scope and portfolio synergies. The Ingredion, TIC and Kerr brands were showcased together at a single booth for the first time last summer. Matsutani Chemical Industry Co., Ltd., established in 1919 in Japan, positions itself as the global pioneer in the development and commercialization of rare sugars. With annual net sales of over US$500 million and approximately 400 employees, the company has been focusing on ways to make processed foods tastier, healthier and more functional. Today, over 30 percent of foods in Japan that are recognized as FOSHU (Foods for Specified Health Use) use Matsutani’s functional food ingredients. Their ASTRAEA Allulose is a sweetener that tastes and functions like sucrose and is in the family of rare sugars. Allulose is absorbed by the body but not metabolized, making it nearly calorie-free. Allulose is one of the many types of monosaccharides that exists in nature in small quantities and can be found in certain fruits, including figs, raisins and jackfruit. Allulose has a texture and performance behavior similar to sucrose providing comparable bulk, sweetness and functionality (e.g., browning, freeze point depression). These properties make allulose an ideal ingredient for formulators as they look for ways to reduce calories from sucrose in the products they develop. A detailed interview article on the technology with Matsutani's Yuma Tan can be found here. For Matsutani, which spent more than 15 years developing, researching and refining the world’s first rare sugars including ASTRAEA Allulose, the move presents new opportunities to take allulose to food and beverage formulators across the Americas. Watanabe stresses that the agreement does not mean a change to the future independence of Matsutani as a whole. “There is no change to our operation and contribution to the market and academia. We continue to invest in our research and development, just like other products you may know from Matsutani. We just serve to fill a gap between Astraea-Allulose potential and today’s market. We would hope its potential is much bigger than we think and we are the one to fill the gap in terms of business through this partnership,” he says. The partnership between Ingredion and Matsutani will mean greater competition for Tate & Lyle in the Americas, where the company offers the DOLCIA PRIMA product. In an interview with The World of Food Ingredients earlier this year, Veronica Cueva-Beach, Vice President, Global Technology, Food and Beverage Solutions at Tate & Lyle, notes how sugar and calorie reduction is a primary focus for many of their customers, but replacing sugar and calories is not always easy, since sugar provides functional benefits in addition to taste. “This makes fibers and allulose, a rare sugar, a key solution for formulators – not only can these solutions help replace functional attributes such as bulk and mouthfeel, they can also enable manufacturers to include ‘added fiber’ or ‘reduced calorie’ claims on products,” she states. Tate & Lyle’s DOLCIA PRIMA is not metabolized, which makes it nearly calorie-free at 0.2 kcal/g. In sensory testing at Tate & Lyle, DOLCIA PRIMA also delivered a similar organoleptic profile as sugar with a clean, sweet taste. “In formulations, allulose works well in rolls, cakes, pies, pastries, cookies and frostings. Functionally, allulose behaves like other sugars. It browns in the oven, depresses the freezing point in frozen products and adds bulk and texture. In comparison with sucrose, allulose even exhibits greater solubility in aqueous solutions over a wide range of temperatures and a lower tendency to crystallize in high-solid systems. The low-calorie sugar also exhibits synergy with other sweeteners. This allows bakers to build a better sweetening system of multiple sweeteners,” she concludes. It will be exciting to see whether the newly formed partnership between Ingredion and Matsutani helps to catapult allulose into mainstream product development.